Sergeant Kenneth Vann was shot and killed in an ambush while stopped at a red light on Rigsby Avenue at 2:12 am. He was responding to a non-emergency call and had stopped for a red light at the intersection of Rigsby Avenue and SE Loop 410. A car pulled up next to his patrol car on the passenger side and the occupant immediately opened fire with no warning. Sergeant Vann was struck by multiple shots. His patrol car rolled through the intersection and was stopped by crash barriers. He succumbed to his wounds before arriving at a local hospital. The shooter fled the scene in the vehicle and remained at large for one week. He was arrested on June 5, 2011, when law enforcement officers raided his home. The subject was found guilty of capital murder and was sentenced to death on October 20, 2015. 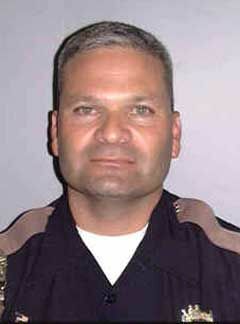 Sergeant Vann was a U.S. Marine Corps veteran and had served with the Bexar County Sheriff's Office for over 24 years. He is survived by his wife and three children. His wife also serves with the Bexar County Sheriff's Office.